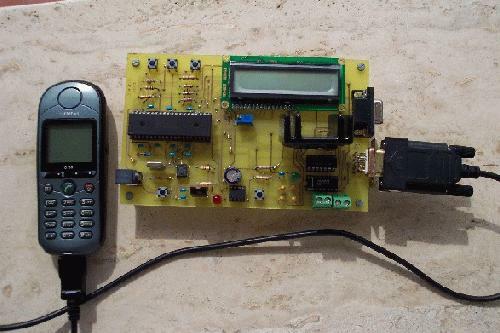 Construction of microcontroller based Touchscreen Mobile Phone with Password protected features. MEMS Accelerometer based tilt operated Graphical LCD and memory stick based textbook reading system. Evaluation of the tongue drive system by individuals with high-level spinal cord injury (IEEE 2009). USB Memory Stick Data Logger. Measured values are stored in to a USB Pen Drive. Triac and optically isolated diac based electrical oven temperature monitoring and controlling system with zero-crossing detector. Voice Operated Guidance Systems for Vision Impaired People. (Speech Recognition, Voice Guidance, Ultrasonic Obstacle sensor and GPS Receiver). Innovative keyboard construction with only one input pin. RFID and GSM based intelligent letterbox (mailbox). Wireless energy meter monitoring system with automatic tariff calculation on handheld. Image based password authentication for Illiterates with Touchscreen. Google Android operated Smart Home. Speaking microcontroller for deaf and dumb. 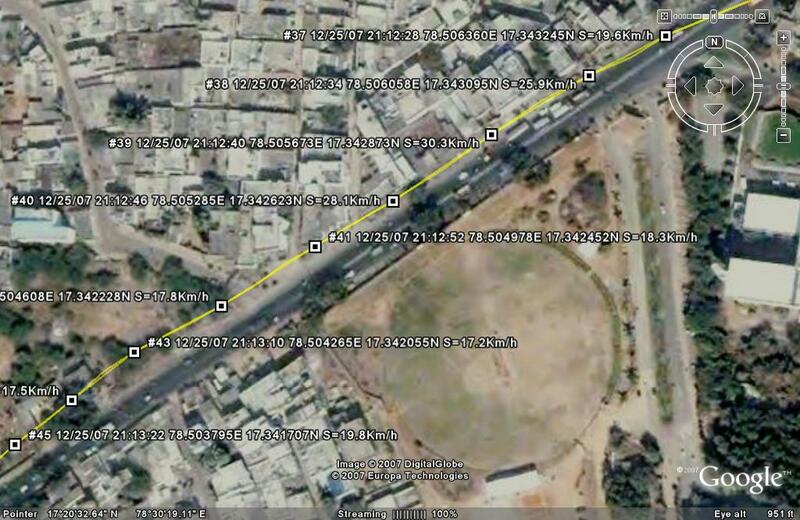 Wireless GoogleEarth control system at Railway/Bus Stations for tourist’s route map guidance. Virtual wireless dancing bells for classical dancers. Touchscreen based temperature monitoring and control system with graphical LCD. Automatic Closed loop tire pressure monitoring and control system. Microcontroller and Touchscreen based wireless library book catalog system. Touchscreen based Nurse/attendant calling system for physically impaired. Graphical LCD and Memory stick (MMC/SD card) based textbook reading system. Mobile phone controlled four-legged walking robot with speed and direction control. GPS based universal clock. Gets the time from satellites and displays on GLCD. Microcontroller based online examination system with dynamic questions. Digital vehicle speedometer with password enabled speed limit setting. GPS based vehicle travel location-logging system. This System stores the traveler’s geographical location and speed at an interval of one second and is stored in to 1GB MMC/SD memory card. 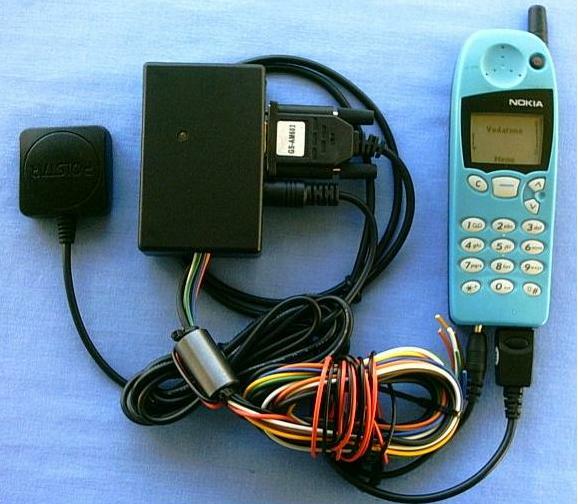 SMS based remote SIM card’s address book access system. Microcontroller based digital clock with Graphical LCD and Sanskrit font (or Any regional font) Numbers. GSM based instantaneous vehicle registration details extraction system very useful for Traffic police. Wireless Heartbeat Monitoring and Alert system. RFID/Mifare/Smart Card based security access control systems. Implementation of wireless sensors network for Wild Fire monitoring system. Real-time Heartbeat Monitoring system with display on Graphical LCD and Voice based alerting system. Touchscreen operated liquid dispensing system. Infrared (IR) remote controlled Muscle Stimulator with duration and intensity control. GPS based border alert system for fishermen. 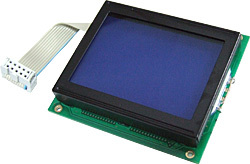 MEMS Accelerometer based digital photo frame with automatic position/view adjustment system (similar to digital cameras). Construction of Touchscreen based portable Digital Clock. GPS and Graphical display based tourist-guiding system with Touchscreen keyboard input for dynamic location recording. This can be used any where in the world including Sea and Forest locations. Microcontroller and RF transceiver based chatting application with Touchscreen keyboard implementation. Travel assistant for blind with dynamic user input for location based alerts. Telugu Tutor with dynamic text and Images identification for elementary school kids. Micro Electro Mechanical Sensor (MEMS) Accelerometer/Gyroscope based self-balancing robot. Military persons training system that monitors the speed at which they move and records the calculated traveled distance with the time. GPS based office cab monitoring system very useful for the safety of female employees. This system records the travel path and location with timings. Also records the destination of each employee home. GPS based navigator with location display on Graphical LCD. This provides user to have the location information displayed in any language. Radio Frequency based remote controlled robot with wireless video camera mounted on it. Autonomous Robot with artificial vision for obstacle detection. Accelerometer (Gyroscope) Controlled Robot. Accelerometer is mems based 3-axis sensor that can sense the tilt in of the 3-diamentions. The robot moment is controlled based on the tilt angle of the robot. No need to press any buttons for robot control. Mobile technology (GSM) based remote monitoring and control of digital Energy meter. Useful for Electricity Department personal for remote meter reading. Also useful to disconnect the power supply to consumer incase of non-payment of electric bill. This is also used to exchange messages like power cut timings with the consumers. Touchscreen controlled motor speed and direction controlling system. 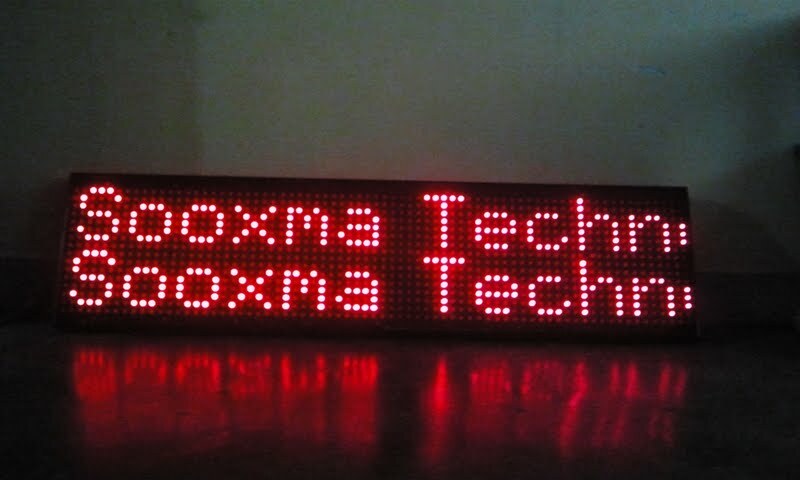 GSM based digital Notice board with display on Monitor or LCD display. PIR based energy conservation system for corporate Computers and lighting system. Remote control of critical software applications with mobile phone. Microcontroller based dual Lithium-ion battery charger with automated charge and discharge cycles. Virtual distance measuring tape with Graphical LCD. Very useful for roads and buildings department. One man operable and works on anywhere on earth. Radio Frequency wireless remote controlled digital camera with high power LED based focusing light. The camera direction can be controlled remotely and the video images can be seen live on TV. Wireless Speedo meter for boat/ship with speed and location limit alerts. Touch Screen based digital devices control system. This project is to build a Graphical LCD Touch Screen interface for switching electrical devices. The controlled devices can be of high voltage or low voltage. GSM Mobile phone controlled intelligent Robot. Automatic Intelligent Plant Watering System. DC Motor Speed and direction control over GSM Mobile/Modem. Mobile phone controlled Street Light monitoring and control system. UPS battery monitoring system over GSM for high availability systems (banking/finance/medical etc). Touchscreen controlled lamp dimmer for next generation apartments. Soil Moisture sensor based intelligent irrigation water pump controlling system with GSM technology. DTMF mobile phone controlled dam water gates controlling system with high-level protection. DC Motor Speed and direction control using RF/IR/Zigbee technologies. Hazardous chemical valve control system with stepper motor and line of site remote control. Contact less Motor speed monitoring on Graphical display with high and low speed alerts. Liquid dispensing system with adjustable quantity for industrial use. Password enabled pre-paid liquid/milk dispensing system. Wireless Energy Meter monitoring system with automatic tariff calculation. Data logger for energy meter with time and KWH readings. Very useful for historical data logging and analysis. High voltage fuse blown indicator with Voice based announcement system. Voice enabled devices switching for visually impaired. GSM based SCADA (Supervisory Control and Data Acquisition) implementation. SCADA system design and construction for real-time electrical parameter monitoring and control. Timer based Electrical Oven temperature monitoring and control for Metal Industries. Timer based automatic power cutoff for industrial sealing/packaging machines. GPS & GSM Based Car Security System. Easy to find the stolen Car. Global Positioning Sytem (GPS) has been used in various commercial applications including transportation, navigation and vehicle position tracking, which when coupled with GSM mobile phone technology, the technology can help locate stolen vehicle and retrieval process. The purpose this project is to get the Latitude and Longitude from the satellites and display them on LCD display. GPS & GSM Based Realtime Vehicle Tracking System. This system locates the Vehicle on the earth by the use of GPS and sends the co-ordinates (Longitude & Latitude), Time and Vehicle speed to the owner of the vehicle using GSM Modem. This updates time (GMT) from satellites and displays on LCD. GSM/Mobile/Cell Phone Based Device Monitoring and Control Ststem. 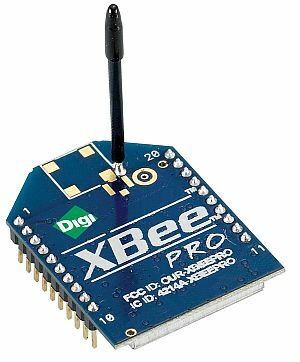 The purpose of this project is to Monitor and Control any Digital or Analog devices from your Cell Phone. This Project can be used to control up to 16 electrical devices. With this circuit you can switch-ON , OFF or Restart some Linux servers, ADSL modems, Printers, Door with electric lock, Irrigation Pump, Garage door, House lights, Water pumps, electric sunshade, Block the engine of your car or your motorcycle, at the steal case and much more. The purpose of this circuit is to make the human life better and easier. GSM Based Automatic Irrigation Water Controller System. Microcontroller based Heartbeat Monitor with LCD Display. The design was carried out through the use of two infrared sensors. The sensors check blood density on the patient's fingertips in order to measure heart rate. The raw data from the sensors is processed by microcontroller and the processed data is sent to LCD display. Microcontroller based Heartbeat Monitor with Display On Computer. same as above but the processed data is sent to PC. uC based Heartbeat Monitoring over GSM Mobile. Temperature Measurement over GSM Mobile. The purpose of this project is to measure the temperature using LM35 sensor. This temperature is processed by microcontroller and sent to the user over GSM mobile. uC based Real Time Clock and Multiple Device control based on Time and Date. DC Voltage and Current Meter With PC Display. uC based Multiple Device Control based on Change in Input Frequency. Digital Compass and GPS based Navigation System. VRBot and EasyVR based Interactive Speech Recognition System. Microcontroller based Generator/Alternator Control and Monitoring System. Microcontroller based Single phasing preventor. Wifi and TFT Color LCD based wireless Home automation. Microcontroller to Microcontroller Infrared based communication. Solar data logger into MMC/SD Memory Card. Microcontroller based refrigeration control system. Temperature Analyzers with computerized graphical image. Interfacing Microcontroller to Cellphone graphical display. DS1307 and Microcontroller based TV remote controlled Digital Clock. Microcontroller based Hardware(USB or Serial) key implementation for any software based applications. Password protected IR based Device Control. Using Magneto-Inductive Sensors to Detect Tongue Position in a Wireless Assistive Technology for People with Severe Disabilities (IEEE 2007). Remote Control of PC/Computer using GSM Modem or Cell Phone. Microcontroller based automatic liquid dispensing system. Used in Tea/Coffee, Soft Drink vending machines. Usb 2.0 Hardware implimentation using PIC 18F2550/18F4550 16-bit advanced microcontroller. (With PC side VC++ application). GSM+GPS based school kids tracking system. Microcontroller based Automatic Railway Gate Control System. This project is to control the railway gate system automatically by sensing the train movement. This gives the visual and voice alerts to users crossing the rail path. This can also count the number of trains passings in both directions per day or hour. Using this project the digital camera can be controlled remotely using RF Transmitter and Receiver. The controls include taking picture snaps, switching on the flash light, changing camera direction using stepper motor etc. Note: Digital Camera also will be given to the students along with microcontroller hardware kit. GSM based Highway vehicle traffic monitoring system. The purpose of this project is to monitor the vehciles moving on highways at remote locations. This project uses infrared/laser sensor system to count the number of vehicles passing in both the directions. The vehicle count is logged by the microcontroller. This vehicles information is sent to the user over GSM modem. The information can be sent to the user periodically or can be sent on demand by sending a missed call or SMS. Zigbee and Touchscreen Controlled PC. Advanced vehicle tracking and automatic crash notification using GPS and GSM technology with Location Name as SMS. Touchscreen based Ordering System for Restaurants. Wearable technology for wireless gadgets control. Using Unconstrained Tongue Motion as an Alternative Control Mechanism for Wheeled Mobility (IEEE 2009). Touchscreen based wireless communication assistant for dumb/illiterates in Airlines. Design and Construction of MEMS Accelerometer based Tilt Operated touch free mobile phone. RFID and GSM based intelligent courier/letter collection box. MEMS Accelerometer based Tilt Operated wireless phonebook copying to PC. Wireless touchscreen based multi-patient health monitoring system for corporate hospitals. Wireless PC based multi-patient health monitoring system for Corporate Hospitals. Wifi networking based Industrial automation. GPS & GSM based Human Health Monitoring and Alert System with patient’s location on earth. Construction of Intelligent Digital weighing Machine. Touchscreen based Wireless Language Translator in Airlines using Zigbee. Dual GSM Modems based irrigation water pump controller for illiterates. Zigbee based Wireless Energy Meter reading system. Wireless control of powered wheelchairs with tongue motion using tongue drive assistive technology (IEEE 2008). Zigbee based Wireless Energy Meter reading logging system on PC. ARM7 Cortex M3 based USB Host Data Logger. Micro controller based Wireless matchbox with digital lantern. Android Smart Phone operated Robot with bluetooth control. WiFi and PC based advanced Home Automation system. Project Abstract, Circuit Diagrams, Block Diagrams and Flowcharts. Documents/Data Sheets related to all the components used in the project. Project Confirmation/Acceptance letter and Completion Certificate from Sooxma Technologies. I am interested in following ECE projects. Please send me the synopsis/abstract and project Cost. 1. 2. 3.